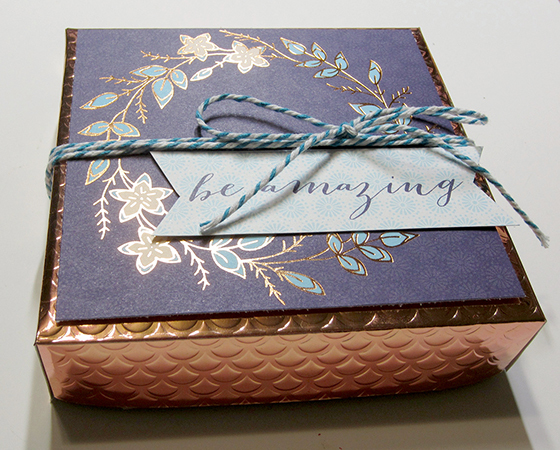 This gorgeous box is great for anything! Use it for a gift or store special items in it! 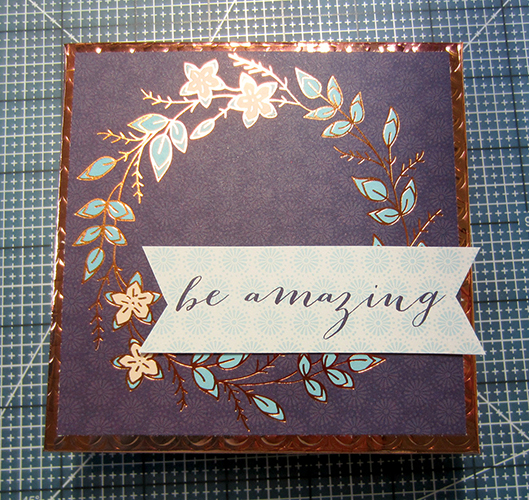 Trim a page from the Embossed Foil stack to 6-1/2”x12”. Cut tabs on the 12" side. Cut only as deep as the score line (1”). 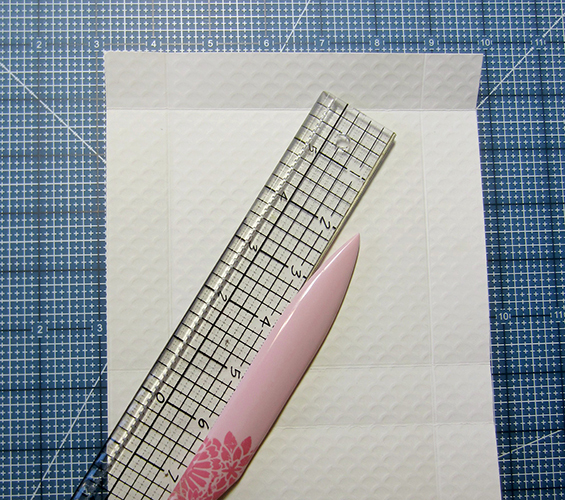 Add adhesive to tabs and fold them in, securing in place.